Chargers have become a very important part of our lives since smartphones and laptops have made their debuts in our lifestyle. Our electronic devices would be useless without chargers. In fact, a laptop that needs to be connected to the charger in 30 to 45 minutes is concluded as to be of low quality. Many of us come across this situation, every now and then when you have to get done an important task but the battery is on the borderline of being used up, and there is no adapter or source of power available because you forgot your charger to carry along with you. Or maybe you are in an area where there is no electrical outlet. However, with new technologies being developed with every passing day, there are not many alternatives to charge a laptop without a charger. But if your problem is that you don’t have your original charger at that moment then, there are a few solutions you can try that will keep your laptop working. So, the prime question stills remain, how to charge a laptop without a charger? There are few tried and tested tricks and tips, we will be talking about, which you can try when you need to charge your laptop without a charger. These techniques can be very helpful for last minute situations such as when you need a little bit of power to get done with your task or in an exam hall, in an airplane etc. 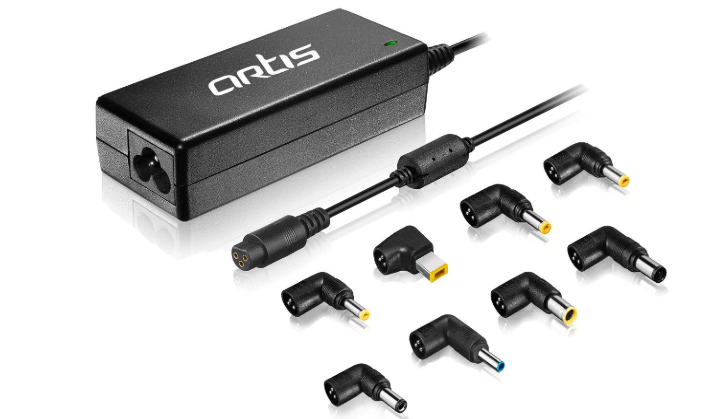 Universal Power Adapter is one of the useful ways to your laptop charging woes. They are widely available in multiple retail electronic shops as well as online. They are inexpensive. The adapter has multiple tips, one of which will be fitting your laptop’s charging port. one of them will be probably compatible with your laptop’s charging port. Most of the universal adapters have standard characteristics and will not only charge sufficient energy to your laptop but also will charge your laptop battery, which is the best characteristic of Universal Power Adapter. Since, if you put in the wrong way, tips can cause improper voltage which can damage to your laptop. Thus, if you spend more time traveling and not on your work desk then you will probably find Universal Auto/Air Adapter rather handy. Using external battery chargers will let you charge your device without using the original charger. External battery chargers are devices which do not plug directly into your laptop computer which make them a powerful solution when you are without your charger. In its place, you will have to remove your laptop battery, connect it to the external charging device and then connect it to an electrical outlet. Once your laptop is completely charged, you can now re-connect into your portable computer. It is important to note that external chargers are mainly model and brand specific and thus, this is suggested that you must buy the one which is compatible with the specifications of your laptop. One more advantage of this trick is that you can to charge additional batteries without certainly running out on your laptop battery. It works a little in a different way. Please, take a note that you do not actually charge your laptop with this charger. What you actually do is, you remove the battery and connect it to the charger. This will only be possible if removing the battery from your laptop is possible. If your battery is fixed in place and cannot be detached, you can’t use this solution to charge a computer without a charger. The major advantage of External Laptop battery charger is rapid charging. Most external laptop chargers have indicator lights that flick when the battery is charging, then stays steady when the battery is fully charged. If you spend most of the time on the road than in your office or in your house, then you can use the car battery to charge your laptop is definitely a useful solution for you. 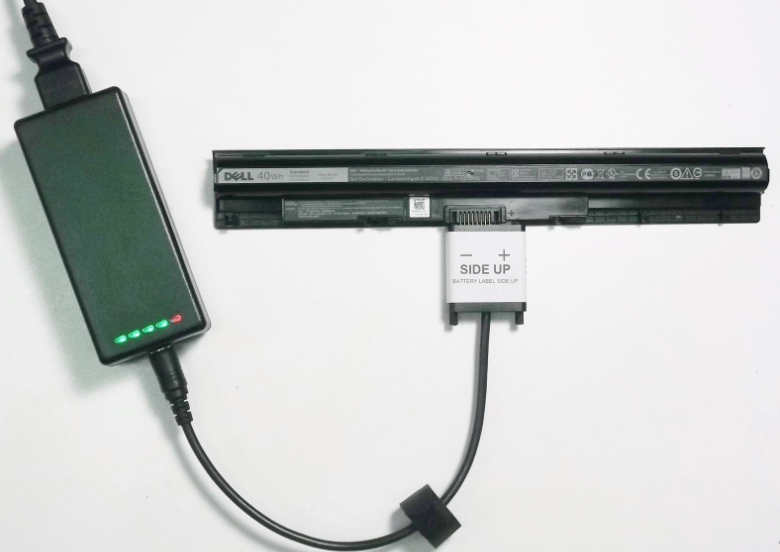 Wiring the laptop straight to the battery can be complicated because most of the recent laptops have battery voltages ranging from 8V and above, whereas most car batteries are rated at 12V. Yet, there are means by which you can ‘hotwire’ a laptop to a car battery even if the voltage is less than 12V. However, it’s important to be careful as you might end up with a dead car battery or damaging the laptop in the process. 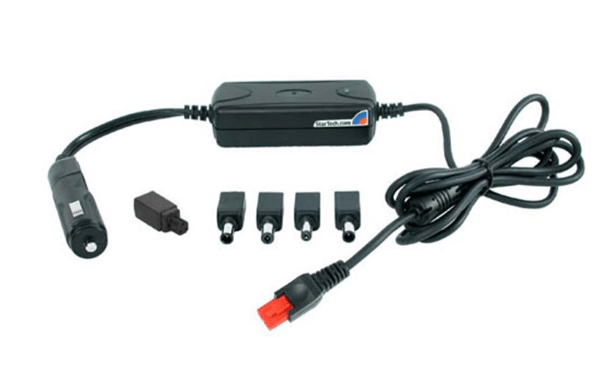 The most useful way to adapt the power from a car battery to power or charge a laptop is by using an inverter. Different inverters are available such as such as TBS’ Powersine series PS600-12 which can generate AC current from a DC source with output power ranging from 12-24V. When you have for the inverter, you can surely use the car’s cigarette lighter to charge your laptop. Step 3: Attach the AC adapter to the laptop. 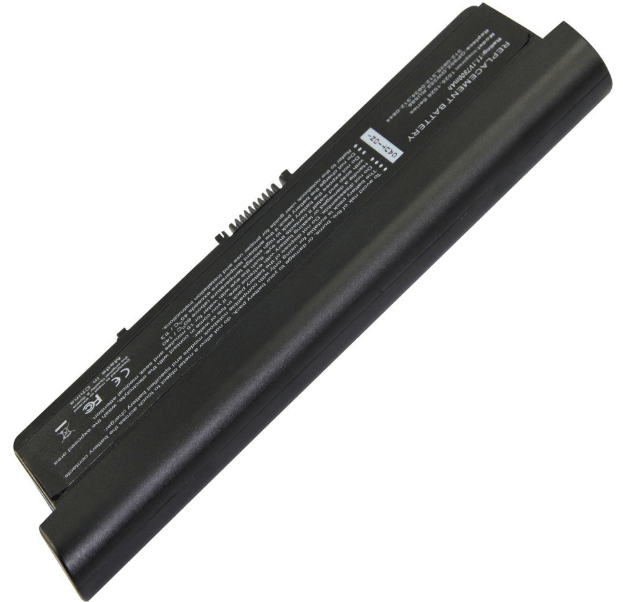 Super Battery is a separate source of power for the laptop which you can also charge it separately. Also, you will need to be sure that the Super Battery fit your device. Once the battery is charged, you can insert it into the laptop and continue your working. It lasts for about four hours. These batteries are rechargeable. But, make sure that you remember the super batteries are only useful, in cases where the laptop’s original battery can be removed. You will need to remove the battery from your laptop and change it with a super battery. Mainly, these batteries provide stable power for up to 7 hours. 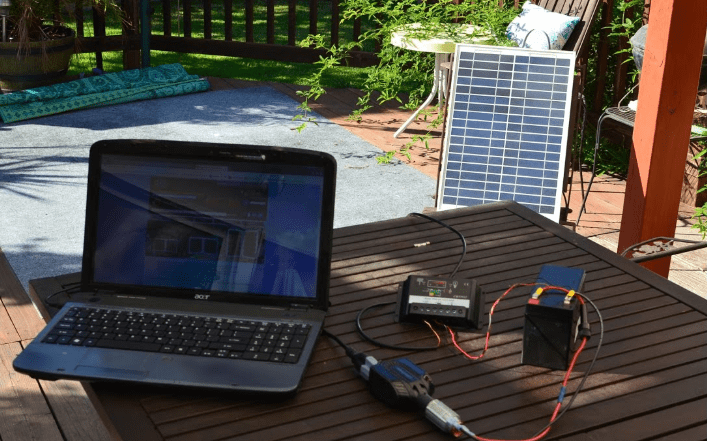 Next in the list is one of the popular alternatives to charging your laptops which takes advantage of solar energy via the use of solar panels and solar kits, the absence of the original charger. Solar kits don’t depend on massive power storage or big inverters to save power but utilize the sun power. Today, solar technology has been enhanced to produce smaller, more efficient, and adaptable photovoltaic cells, making them suitable for adaptation into portable folding panels that are able to harvest sufficient energy to charge nearly all types of laptops. However, there are some shortcomings to use this method, one of them the solar harvest time, which takes probably 9-10 hours to completely fill the charging pack, as opposed to the 3-hour time an electrical outlet would have. Another downside is cloudy days, which increase the charging time exponentially. Can Phones charge the Laptop? Step 1: Insert the cord in the USB port of the phone and the laptop. USB options will then appear on your phone screen. Step 2: Choose the first option, “supply power to the other connected device”. Step 3: You will now notice that your laptop has started charging. The phone cannot supply as much power as other above-mentioned alternatives will to your laptop, however, the power will just be enough to power your laptop when your battery is depleting in critical times. MacBook has come with the USB type C port which helps to charge via USB. So, it can be charged using recommended power banks and phones. Will the alternative methods be expensive? The alternative might cost you some money since additional items have to be purchased. But still, it won’t be more expensive than to buy a whole new charger from your laptop’s manufacturer. Laptops are very necessary that is convenient and efficient. The battery life of a laptop is definitely, one of the most important factors to think about when buying one. The consumption of an alternative battery charging methods needs a proper amount of knowledge and research. Any mistake can damage your laptop which can further cause a breakdown or even fire. If you have any other tricks to charge a laptop without a charger? Let us know in the comments section.